MBDA Inc. today announced the successful demonstration of a Semi-Active Laser Guided Zuni rocket at the Navy’s test facilities at China Lake, CA. utilizing the WGU-58/B Guidance and Control System developed in cooperation with the Naval Air Warfare Center Weapons Division (NAWCWD). The Zuni is fired from the LAU-10 launcher, which is a pod that is carried on a fighter aircraft’s weapon station. 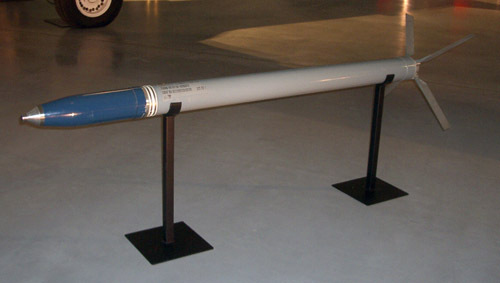 The pod is designed to carry and fire four Zuni rockets which give the aircraft an immediate increase in the number of targets that it can engage over most of the other semi-active laser guided weapons of a comparable warhead effectiveness which are limited to one or two per weapon station.